A UK-trained Bruneian ophthalmologist with special interests in paediatric ophthalmology and strabismus (eye movement disorders) has been helping children with eye issues in Mongolia. 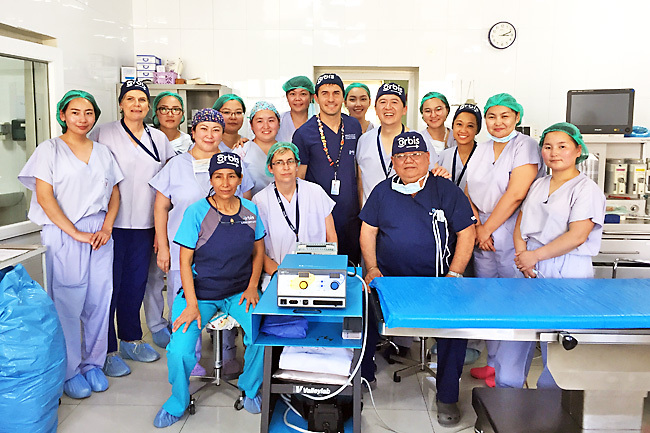 The Orbis International programme for in-country ophthalmic skills exchange and surgical programme has been taking place once again in Ulaanbaatar. In Mongolia, cataracts are the most common cause of visual impairment among the people. Mongolia’s cataract surgical rate is notably one of the lowest in Asia, while 88 per cent of its children’s vision impairment is due to refractive errors – a condition that requires the wearing of glasses – yet it has been estimated that up to 89 per cent of Mongolian children who require spectacles are not wearing them. Orbis International is an international non-profit organisation formed in 1982, and has worked in over 90 countries alongside its extensive network of partners and expert international volunteer faculty, with the vision of transforming lives through the prevention and treatment of blindness. The WHO estimates that up to 80 per cent of blindness in the world is avoidable, preventable and treatable.